Events are being held throughout South Australia this week to celebrate the contribution refugees have made to our community as part of Refugee Week and World Refugee Day 2017. 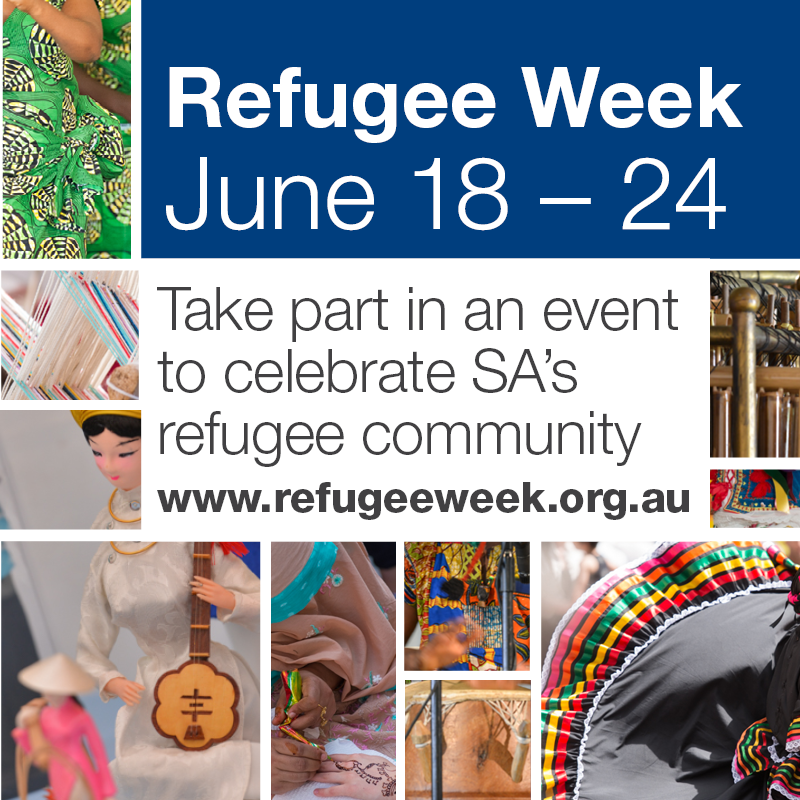 Refugee Week runs from 18 to 24 June and has been celebrated in Australia since 1986, while World Refugee Day is on Tuesday 20 June and features campaigns and celebrations across the world. Refugee Week and World Refugee Day allow us to celebrate the positive contribution refugees make to Australian society, and to acknowledge the issues they face. Refugees are an integral part of our state, and will share their stories and showcase their cultures through music, dance and theatre during Refugee Week. Over the past two years, about 2,500 humanitarian entrants have settled in South Australia. Global refugee numbers are at an all-time high with an unprecedented 65.3 million people around the world forced to flee their homes. Among them are nearly 21.3 million refugees, more than half of whom are under the age of 18. For more information about Refugee Week events visit www.refugeeweek.org.au or www.amrc.org.au/events.